There’s no feeling quite like meeting the beautiful ocean creatures in their natural environment. Whether it’s swimming with dolphins, snorkeling with sea lions or kayaking with seals, Break Loose will make your dreams come true. 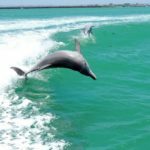 Our aquatic tours and water activities give you the chance to get up close and personal with graceful dolphins, adorable seals, playful sea lions and other marine life in the open ocean. 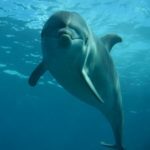 In Australia, we have over 13 different types of dolphin that grace our waters, from the Australian snubfin to the Indo-Pacific humpbacked. On our dolphin swimming gift experience, you’ll be educated about these beautiful creatures and will have plenty of time to gain practical knowledge of their behaviour as you swim amongst their frolicsome pods. Or, if swimming with dolphins isn’t for you, our kayaking gift experiences will have you gliding along with them while you spot seals, birdlife and other ocean animals that come up to meet you. 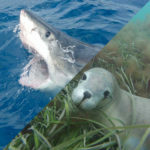 The Australian Sea Lion is another fantastic creature to encounter in the open ocean. 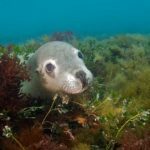 Be prepared for the most adorable puppy-dog stare you’ve ever encountered and enjoy watching them play beneath the waves as you swim with their colony. What are you waiting for? 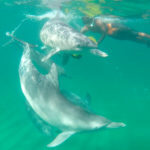 Snorkel with Australian Sea Lions off the coast of Hopkin’s Islands in South Australia, or swim with dolphins and kayak with seals in Australia’s pristine waters of Western Australia, Victoria and other locations around the country. 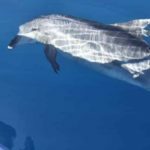 If you love animals and the ocean, this is the ultimate water activity for you. You’ll fall even more in love with these beautiful creatures after experiencing them in their natural habitat. These tranquil and awe-inspiring experiences will leave you spellbound. It’s a memory that’ll last a lifetime!